Imagine yourself finishing up a project on your laptop or computer then suddenly, an important message pops up on your phone. Usually, you’ll entertain the query and reply on the message. What if another text comes on? You’ll have to get your phone again to attend to that person and that cycle continues. Most of the time, switching between devices, especially smartphone and PC, makes it difficult to focus on the task you’re doing. Hence, here are some recommended applications that will help you to control Android from Mac. Check out the list below and start saving your time. 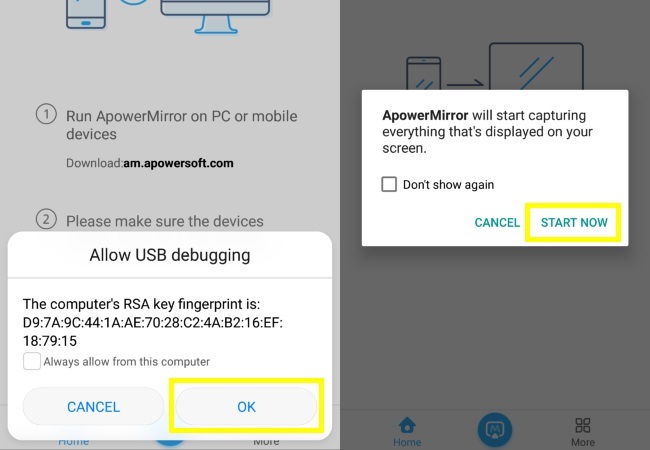 ApowerMirror is one of the most intensive mirroring programs for computer and Android/iOS devices. This allows you to stream your mobile content like pictures, videos, and music to your Windows/Mac. Moreover, it enables you to project your entire screen on a real-time basis. So whatever you do on your phone will reflect on your monitor. The Android version of the app includes a control mode from PC which lets you manage your phone using the mouse and keyboard. Aside from that, it supports mirroring of multiple devices which is perfect when you have to manage two or more phones. This is loaded with different features such as capturing tools for screen recording and taking screenshots, whiteboard marker, and Game Keyboard. It has an easy-to-use interface that setting up won’t be difficult for beginners. As a matter of fact, you can simply connect your phone with a USB cable and it will do the rest for you. 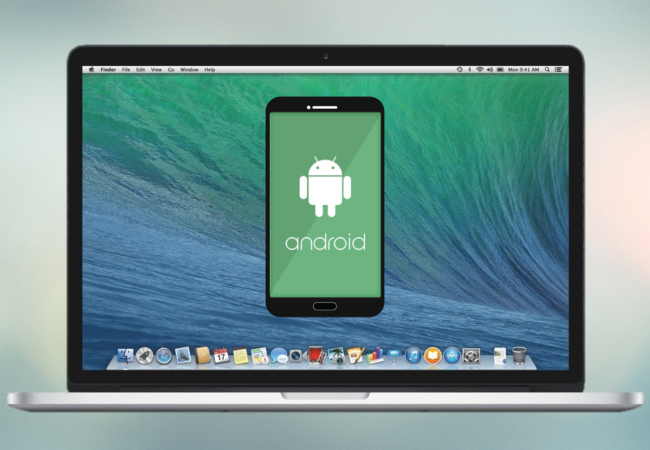 Read along to find out how to access Android from Mac. First, search for the official website of ApowerMirror and download the software on your PC. Next, install ApowerMirror on your Android device from the Google Play Store. Enable USB debugging on your device then connect your phone with a cable. Click on “Start Now” to proceed with the mirroring process. You may also connect wirelessly by clicking the M blue button from the mobile app. Upon connecting your device, you’ll be able to control it using your computer. You can click on the buttons from the side bar to use the other functions of the program. 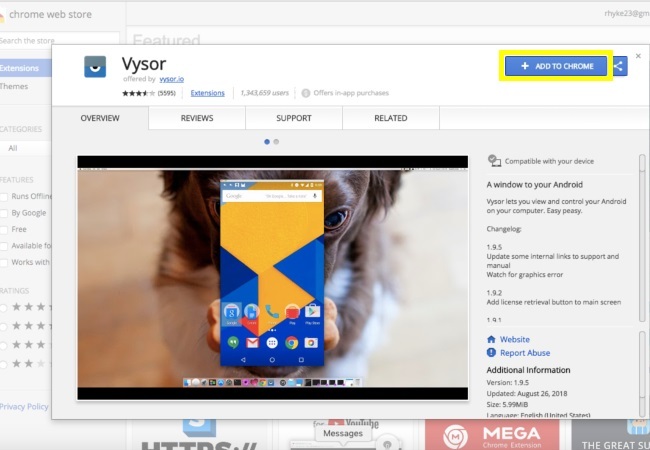 The next application that you may rely on to control your device is Vysor. It is a Chrome extension that is quite popular for its ability to mirror Android devices to computer. This also offers controlling of mobile phones via mouse and keyboard. 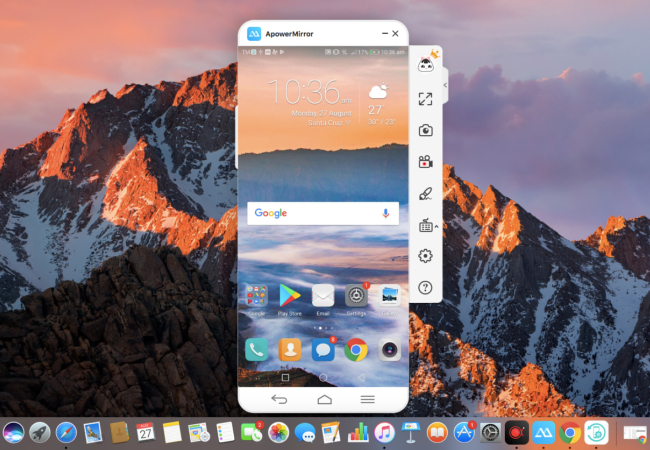 With this, you can send your screen to a bigger monitor and easily use your computer and Android. It offers two mode: free and premium. The former allows you to access the basic function of the program and take a snapshot of your screen. Meanwhile, the latter has more advanced features like the screen recorder. In addition, it enables users to adjust the basic setting of the app like the resolution. 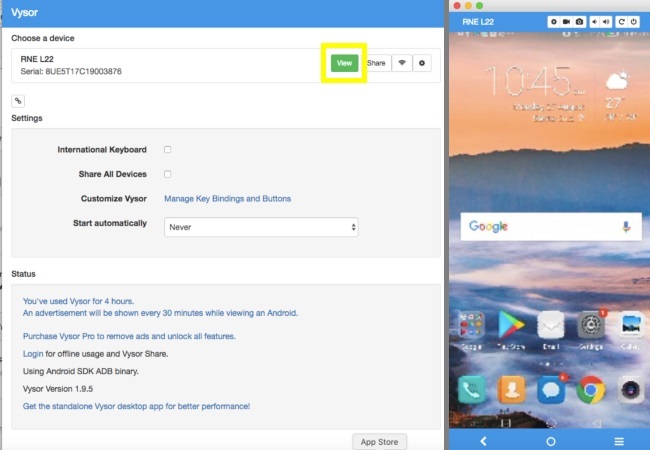 Follow the instructions below to know how to control Android from Mac. To start, add the Vysor extension on your Chrome browser and run the app once done. On your phone, download the mobile app then plug it in using your cable. 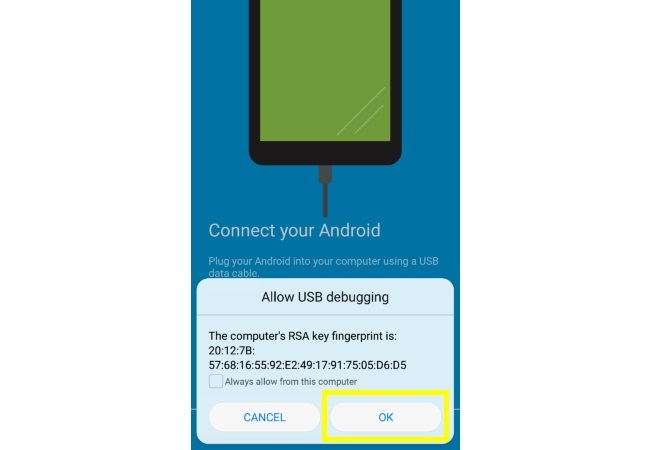 Enable USB debugging mode on your Android. From the new window, click on “View” to project your mobile screen to Mac. The disadvantage of using the program on its free mode is its low-quality output which you can’t adjust on the settings. Additionally, the performance of the app is directly affected by your internet connection. You may choose between these two applications to remote control Android from Mac. To conclude, ApowerMirror is an all-in-one mirroring program with an easy mirroring process and good quality resolution as compared to Vysor.